United Airlines faces a $435,000 civil penalty from the Federal Aviation Administration (FAA) for allegedly flying a plane "that was not in airworthy condition." The agency said the incident occurred three years ago. According to the FAA, United mechanics replaced a fuel pump pressure switch on one of the new Boeing 787 jets in response to a problem highlighted by the flight crew two days earlier. 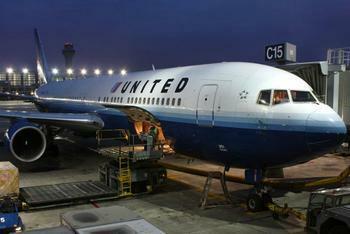 The FAA charges United failed to perform an inspection of the repair before the plane was put back in service. The FAA complaint alleges the airline used the plane on 23 flights before it inspected the work 19 days later. It further maintains United used the plane on two flights after being notified by the FAA that the inspection had not been completed. Under FAA rules, the plane did not meet the technical requirements of being airworthy on all 23 flights. United has not commented publicly but the FAA says the airline has requested a meeting with the agency to discuss the case.